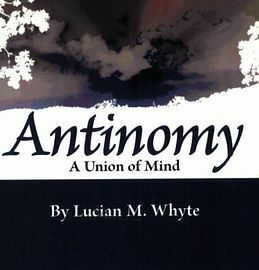 "Antinomy" is the first book in the series. It concerns the birth and early development of the Other and the first manifestation of the One. Its topics are pedagogy and metaphysics. Dr. Shellko used the pseudonym Lucian Whyte. An impressive effort at blending a classical style with contemporary, highly personal issues - giving us an intriging sense of the inevitability of fate.